American Queen Steamboat Company will grow to four ships in 2020 when the American Countess joins the fleet. A repurposed gaming vessel, the Countess will emerge from the existing hull of the Kanesville Queen, which was built in 1995. The ship will see a complete rebuild, a project that will include cutting the ship in half and inserting a 60-foot midsection. As well, Gulf Island shipyard will fit out the hotel and install staterooms aboard the 245-guest ship. “There is insatiable demand for a Mississippi product on an American flag and American home-grown product,” said Ted Sykes, president and COO. Sykes painted no concerns about capacity increases on U.S. rivers, adding that the industry was just reaching the levels of the heyday, when Majestic America Line and Delta Queen dominated the market. "We’re way over-subscribed on the lower Mississippi,” said Sykes, adding that the new American Countess will help fill demand. Ships sail either the upper or lower Mississippi, while other deployment options include the Ohio and Tennessee Rivers and on the West Coast, the Columbia and Snake Rivers, the latter of which the American Empress serves. Guest sourcing is predominantly U.S., with around 10 percent coming from international English-speaking markets. As the fleet grows, Sykes may be facing the reality that there are few casino vessels left to convert, as the company did with the Duchess, which entered service in 2018, and will soon be joined by the American Countess. 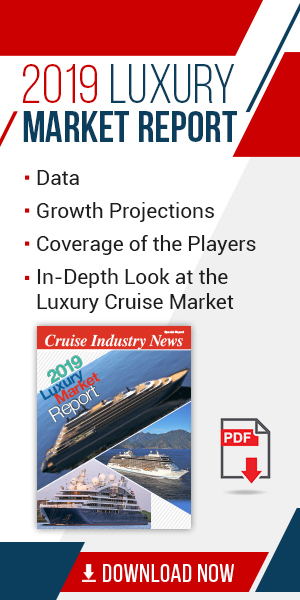 “There are very few, and we have picked over all of them,” Sykes told Cruise Industry News. “We are also considering newbuilds. The Countess is a prototype with the cutting, lengthening and building out of cabins. We are almost there to having newbuild capacity in one or two (American) shipyards. If we run out of gaming hulls to repurpose, we think there will soon be the ability to do newbuilds.